Merck and Healthy Interactions, a healthcare firm for people that provides digital and personal solutions for management and education of chronic illnesses, jointly started a diabetes management and engagement platform which encourages personal counseling programs. Launched on August 17th at the American Association of Diabetes Educators Annual Conference in Baltimore, the map4health platform is inclusive of a patient-interactive app that uses text and video messaging, goal tracking, and peer support forums. Healthcare professionals can also observe patient data development and analytics through a dashboard offered in the app whilst interacting with their patients. 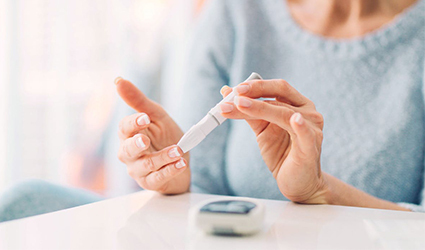 Diabetes patients residing in the US are being targeted by this platform, to be implemented as a solitary tool or incorporated into a diabetes self-management education or support (DSMES) program. This digital service is a part of the two companies’ ongoing collaboration on the Journey for Control DSMES program. A number of educational services are included in this program under the Conversation Map, few of which integrated digital assistance in the form of e-learning modules, online sessions, and a patient app. “With the launch of the map4health platform Healthy Interactions’ population health model now uniquely combines our proven high-touch Conversation Map programs with the complimentary map4health high-tech platform," Paul Lasiuk, co-founder and CEO at Healthy Interactions, wrote in an email statement. "Pure digital solutions have struggled to achieve target patient engagement and impact levels. Combining proven high touch with proven high tech delivers chronic patient behavior change with the promise of scale. We are humbled and thrilled to launch map4health today."